NORMS | 2013-2014 ஆசிரியர் பொது மாறுதல் கலந்தாய்வு | 2013-2014-ஆம் கல்வி ஆண்டில் கடைபிடிக்கப்பட வேண்டிய நெறிமுறைகள் - ஆணை. NEWS | 2013-2014 ஆசிரியர் பொது மாறுதல் கலந்தாய்வு செய்திகள் அனைத்தும் தேதி வாரியாக படியுங்கள். PG 1591 ADDITIONAL POST | அரசாணை (நிலை) எண்.274, பள்ளிக் கல்வித் (வசெ2) துறை, நாள்.29.10.2012ன்படி கூடுதலாக அளிக்கப்பட்ட 1591 முதுகலை ஆசிரியர் பணியிடங்கள். தலைமையாசிரியர் பொறுப்பு ஒப்படைப்பு, பொறுப்பு ஏற்றல் படிவம். 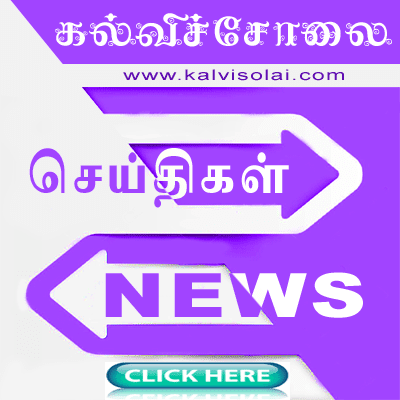 CURRENT NEWS | அரசாணை நிலை எண். 107 பணியாளர் மற்றும் நிர்வாகச் சீர்திருத்தத்(எம்)துறை நாள் 18.8.2009 படி பள்ளி இறுதித் தேர்வு (10ம் வகுப்பு) மற்றும் பள்ளி மேல்நிலைக்கல்வி தேர்வு (+2) ஆகியவைகளை தேர்ச்சி பெற்றபின் திறந்த வெளி பல்கலைக்கழகம் வழியாக பட்டயம்/பட்டம்/முதுகலைப் பட்டங்களை மட்டும் பொதுப்பணிகளில் நியமனம்/பதவி உயர்வு பெற அங்கீகரித்து ஆணையிடப்பட்டுள்ளதால் பட்டியலில் உள்ள ஆசிரியர்கள் அனைவரும் நடைமுறையில் கல்வித் தகுதிகளை (11+1+3) அல்லது (10+2+3) -ன்படி பெற்றுள்ளனரா என்பதை உறுதி செய்ய வேண்டும். CURRENT NEWS | பட்டதாரி ஆசிரியர்கள் முதுகலை ஆசிரியர்களாக பதவி உயர்வில் செல்ல விருப்பம் தெரிவிக்கிறாரா அல்லது உயர்நிலைப்பள்ளித் தலைமை ஆசிரியரராக செல்ல விருப்பம் தெரிவிக்கிறாரா என்பதற்கான விருப்பக் கடிதத்தினை பூர்த்தி செய்து தலைமை ஆசிரியர் ஒப்பம் பெற்று முதன்மைக் கல்வி அலுவலரின் மேலொப்பத்துடன் இணை இயக்குநர் (மேல்நிலைக்கல்வி) அவர்களின் பெயரிட்ட முகவரிக்கு 22.05.2013க்குள் அனுப்பி வைக்க வேண்டும். CURRENT NEWS |ஆசிரியர்களின் விருப்பம் சார்ந்த பதிவுகளை சம்பந்தப்பட்ட ஆசிரியரின் பணிப்பதிவேட்டில் பதிவு செய்யப்பட வேண்டுமெனவும் அறிவிக்கப்படுகிறது. Any mutual transfer for BT English Teacher. If any one interested to work in thiruvarur from chennai kancheepuram dist or villupuram dist as secondary grade teacher pls call us 9003037477. If any BT Asst.English willing for mutual transfer from Hosur to Erode (town limit) pl. contact +917204171417. I am recently appointmented through TET. what about norms and dates the applications to be submitted? A very good website for Tamilnadu Teachers. With Greetings and good wishes for your dynamic service to the teaching community. Any BT Maths Asst. willing for a mutual transfer from Chennai or Kanchipuram district to Namakkal district, please contact 7667346177. BT Maths Asst. willing for a mutual transfer from Kanchipuram district 0r Thiruvallur district to Thiruvannamali district, please contact 9566149557.
any promotion sgt to bt in this counselling? any maths BT willing to avail mutual from kancheepuram dist to Karur Dt? A fruitful website,thanks to the founder and moderator. The vacancy positions could also be posted in this forum, which could be more transparent. myAny BTMATHS teacher willing to mutual transfer from kanyakumari district to virudhunagar district near sathur please contact:7305468444 . email id:ramanisureshanand@gmail. Any BTMATHS teacher willing to mutual transfer from Tirunelveli district to virudhunagar district near sathur please contact:7305468444,09349769517. email id:ramanisureshanand@gmail. i am tet appointed BT Maths teacher May i attend this transfer counselling ? when is the counselling for BTs from DT to DT? I am Secondary Grade Teacher.Any one willing to mutual transfer from Chennai DST to Tuticorin Dst pl contact 9944104383. Any BT Asst (Maths) willing to transfer from madurai dist to pudhukottai ( ponnamaravathi ). Any BT Asst (Maths) willing to mutual transfer from Madurai, Sivagangai, Virudhunagar, Ramnadu, Dindigul dist to PUMS Mayiladuthurai Union near Kumbakonam. Any BT Asst (Maths) willing to transfer from madurai dist or dindukal to pudukottai ( ponnamaravathi union ). Sir, Can you please publish what are the norms for general counselling? What about the newley appointed teachers(17.12.2012) who are in Excess (surplus) in their schools? Can they apply for the general counselling 2013-2014? ANY BT. ENGLISH willing to mutual transfer to ERODE DIST FROM TIRUPUR (DIST) OR COMIBATORE (DIST). Any BT Maths Asst. willing for a mutual transfer from Kanchipuram district to Salem district (Gangavalli), please contact 9840360957/9500120957. Any BT Asst MATHS(TELUGU) who are looking for Mutual Tranfer to Hosur from Vellore dist or Thriuvallur dist. can be contacted to 9894813534 / 9894840570 / 9585887549.
can you please post where I can get vacancy list? Can anyone provide vacancy list for BT Social Science teachers Sriperambudur Girls Higher Sceondary School in Kancheevaram district? 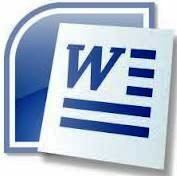 I am R.Sureshkumar working as English B.T.Asst. in Alathur Block,Perambalur Dist. If anyone willing to give mutual transfer from Trichy dist. Plz contact me in 7373751177. You should go to Dindigul CEO office..
From where can I get the vacancy list for tiruvannamalai? can anyone help me? hello xavier sir can u help me. im bt maths working in maduranthakam . is there any vacancy in meddavakkam? r any vacant near tambaram? Any one wants mutual transfer from Coimbatore to Salem (PG Asst. Physics). Coimbatore or any other nearby places also welcome. Ravi Shankar. 8754455095 I am working in govt.boys higher secondary school sriperambedur kancheepuram district as English B.T. Any one who is willing to mutual transfer can contact. Good day. I am working as a PG Assistant in Tamil at Orathanaadu Govt Boys Higher Secondary School.I have been appointed to this school on the basis of state seniority on Sept 2012. The doubt I am having is that whether Can I attend this transfer councelling? Please advice. My sister is working aas BT Social Science teacher in girls school in Vadipatti, Madurai district. Anyone willing for mutual transfer from girls schools in Madurai revenue district or Sriperambudur Kancheepuram district, please let me know. do we have unit transfer from middle to high?if s when? how to apply? Any body wants Mutual Transfer from Kanchipuram OR Tiruvallure OR Chennai to Salem. Hello, i am poorniyammal working as a Secondary Grade Teacher at namagiripet union in Namakkal Dt. Any one wants to mutual transfer to Namakkal Dt from Trichy / Pudukkotai dt pl contact my phone No: 9626137458 or 9787248949.
when are you going to conduct promotion counselling for secondary grade teachers? When will be the counselling for graduate teachers will be held for transfer? pls inform the date for district - district counselling for B.T Asst...it is not mentioned in counselling schedule...!! mutual transfer basis may please make SMS or missed calls to Cell phone number 9442547637. நாம‌க்க‌ல் / (ஈரோடு அரு‌கி‌ல்) மாவ‌ட்ட‌‌த்‌தி‌ல் ப‌ணிபு‌ரியு‌ம் க‌ணித ப‌ட்டதா‌ரி ஆ‌சி‌ரிய‌ரு‌க்கு (BT MATHS) ‌திரு‌ச்‌சி மாவ‌ட்ட‌த்‌தி‌ற்கு மாறுத‌ல் தேவை. 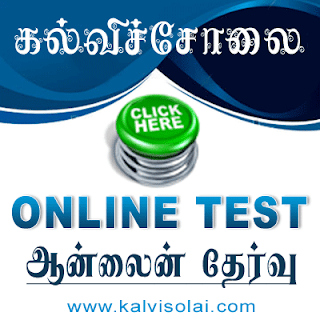 Kalvisolai service is very best and we got more information, question papers, GO and other information. Any BT Science (Botany) willing for mutual transfer from coimbatore/ Tirupur to Krishnagiri district may pls contact 90470 77879/ 9865678481 immediately. It is on 25th May sir. when wil the new promotion list sg to bt will be available with all those left out names included? any maths BT willing for mutual transfer fron nagapatinam dist(in and around mayiladuthurai) to nachiar koil(tanjore dist)?pls contact 9443456322.
any bt teacher maths is ready for mutual transfer to kanchipuram district ? Iam Mrs Sumathi Dayalan, BT Maths,presently working at VEMBADI Middle School under Kollidam Block, Nagapattinam District. Any one interested to have a mutual posting from Tiruvallore, Kancheepuram and Chennai are welcome. You may please contact 9003289757 or 9840639179. You may mail to sumidaya5864@gmail.com. any body who wants a mutual transfer from ambattur/avadi to red hills or periyapalayam pls contact me . i am working as a BT Science Asst.